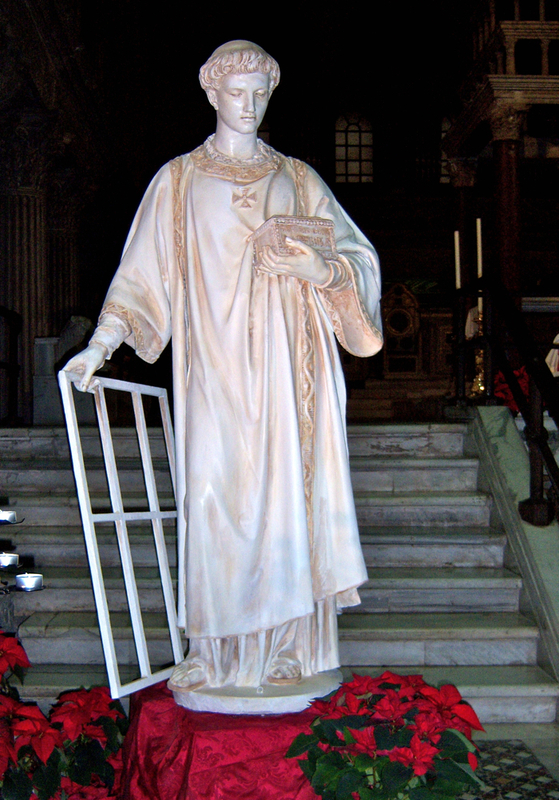 Feast of St. Lawrence is celebrated in the month of August throughout Europe and some Asian countries. It is celebrated with more enthusiasm in Goa and Malta. St. Lawrence the great saint of Rome spent his entire life towards the well being of poor and needy. He was born in a town in Aragon in Spain and was appointed as the first deacon to serve the patriarchal church. Feast day of st. Lawrence is considered as one of the important religious events in Rome. Lawrence was appointed as chief of seven deacons serving Roman Catholic Church in the third century. He was trusted by the masses as well as the Church authorities, but unfortunately he was arrested by the emperor and roasted to death. Lawrence maintained his dignity and rejoiced martyrdom by accepting death, while praying for the welfare of Rome, having confidence that faith of Christ will one day spread throughout the world. The young deacon and martyr of Rome is ranked among the top saints of Christianity and st. Lawrence feast day is supposed to be on top of religious feasts after the feast of St. Peter and Paul. St Lawrence cared more for the needy and helpless, hence for remembering his efforts of improving the stranded lives people donate money to the needy, offer meals and prayer sessions are held for them on the feast day of St. Lawrence. There are many traditional celebrations of the feast at Saint Lawrence church in Miami. In Goa this festival is celebrated throughout the state in second half of August. Goa being a coastal region which is engaged in fishing on large scale this festival time is supposed to be the beginning of the fishing season. It also celebrates the reopening traffic on River Mandovi along with the end of monsoon. This festival is celebrated in a more religious way at the Agaxim and Sinquerim churches, where St. Lawrence was the patron saint. A special mass is organized at these churches. The mass is followed by a huge procession carrying remains of the great saint, which were brought to Goa by the missionaries. Church of st Lawrence at Tampa arranges prayers and speeches honouring the cleric. Saint Lawrence biography reveals the major incidences occurred in the life of this great saint of humanity. The feast is generally celebrated on the 10th of August at Saint Lawrence catholic church and the rituals include a high mass followed by a procession of the relic of St. Lawrence kept in a silver vessel. It was brought to Goa by missionaries. This year the feast will be celebrated on 24th August when lots of visitors are expected to visit Goa. Some of the best hotels in Goa are gearing up to welcome these visitors.